Laurie Hernandez has won the Dancing with the Stars Season 23 Mirror Ball Trophy. Obviously. We could have tried to play this off as a suspenseful season finale, but I mean… come on. The girl had it in the bag since the get go. Yes, I loved me some Terra Jolé this season. She was eliminated too soon! James Hinchcliffe’s freestyle last night gave me way too many feels. And Calvin Johnson constantly surprised me. But Hernandez just had “gold” written all over her. I mean, it doesn’t hurt that she already has a gold and silver Olympic medal under her belt. Who is Dancing with the Stars to deny her one more trophy? Not that she didn’t deserve it. She absolutely did. And not just because of her dancing skills. Hernandez brought an excitement and energy to the show that was infectious. She was simply fun to watch. Carrie Ann Inaba was so enamored with the young star that she said if she ever had a daughter, she hoped she would be just like Hernandez. Talk about a compliment! Hernandez’s dancing journey is far from over, though. She’s already signed on to be part of the upcoming DWTS tour! 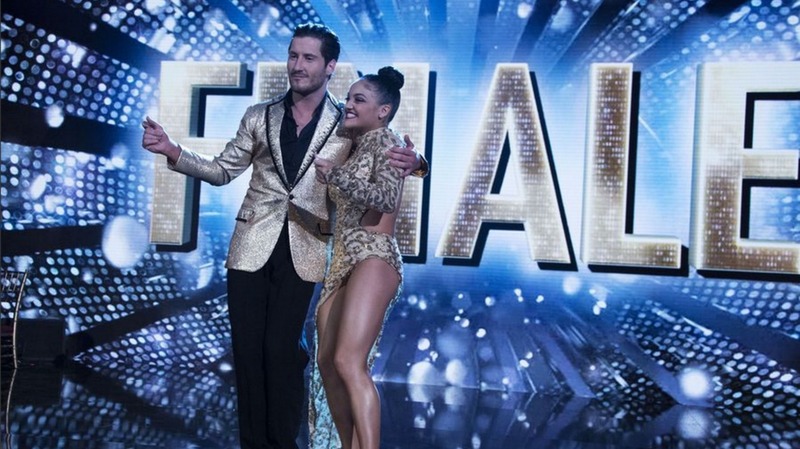 Were you surprised by Laurie Hernandez’s Dancing with the Stars win?